Kids will enjoy our printable math crossword puzzles and learn math at the same time. Here's a multiplication fact crossword that would be good for elementary or middle school students. Ready to solve? You can print the puzzle and get started. After finishing the puzzle, we've got the solutions so students can check their work. Happy Math Crosswording! Was that multiplication crossword what you needed? You might also one of our free multiplication games that you can print off. It covers the multiplication facts up to 12 x 12. Here's another free math crossword puzzle on multiplication facts. 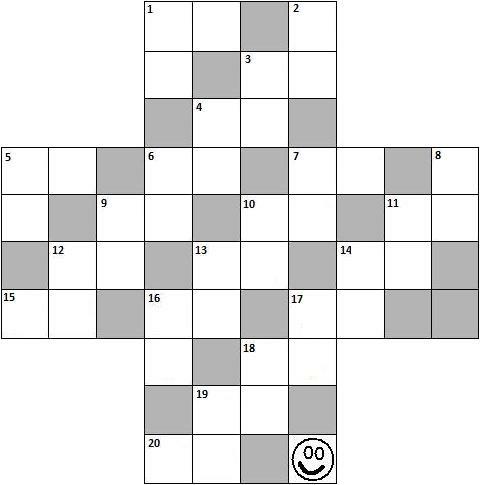 We have other crossword puzzles with various math skills and will be adding more. So make sure you browse the site and check back often.